For Green LA Girl’s Blogger Beach Cleanup, do a good deed, beautify the beach, mingle with other do-gooders and some of your fave bloggers and win cool prizes! You really have no excuse not to participate unless you’re THAT lazy. I mean, come on, for the event this Saturday at 4pm, you only have to pick up trash at the beach for 20 minutes! And then after that it’s happy hour time at Pourtal Wine Tasting Bar in Santa Monica where you get to enjoy complimentary flatbreads, tater tots, hummus platters and more for your effort. Plus, if you want to do more good, drink some wine as 15% of tasting machine wine sales will go to Heal the Bay. I really wanted to participate in this event, not only because it sounds so fun — some of my blogger buddies like Zach from LAist and H.C. of LA-OC Foodventures, and of course Siel of Green LA Girl will be there — but I’m sick of walking on the beach and seeing trash. Who are these people who don’t know how to use the garbage can? And yes, my one little effort here on this day may not make a huge dent toward a completely clean beach but it is the start of something. For extra motivation to show up bright and early, the first 70 peeps at the clean-up site will get either a reusable Envirosax bag, a reusable Green Bag Lady tote or a reusable FilterForGood water bottle. That water bottle is MIIINE! And there will also be prizes for the top three people who pick up the most trash. 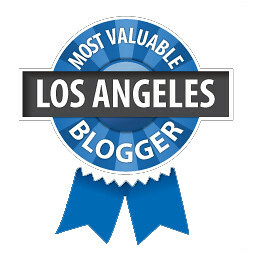 But I’m really interested in winning the contest for Blogger Who Brings the Most Readers! So come on, my dear crackheads! Join me at the beach and afterward we’ll do what we do best: drink wine and nosh on good food. I don’t know what I’d get if I win that contest but I still wanna win it! Do me proud. You don’t have to be a blogger to participate in the cleanup, just have a heart of gold. Also bags will be provided but bring your own gloves if you need to. Sign up here or email greenlagirl [at] gmail.com to join. For more info on the Blogger Beach Cleanup see here. Like I said, I don’t know. I’d be happy just having brought the most people. I love that you are doing this! But hate that I can’t make it today. Thanks for keeping our beaches clean!